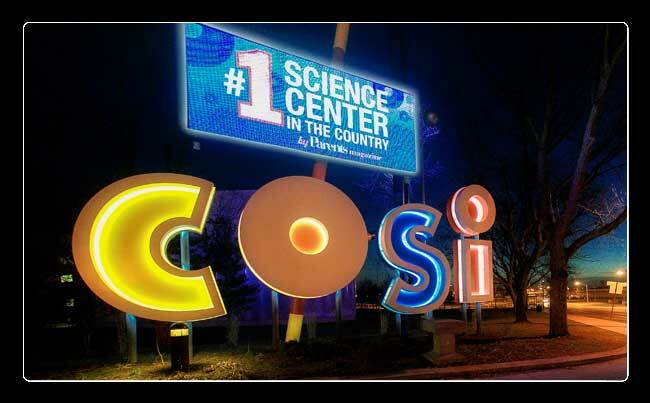 COSI has been considered one of the most respected science centers in the nation — serving 18 million visitors a year 1964. For more than 40 years, it has been well known for creating programs and experiences that make science fun while empowering and engaging visitors through hands-on discovery. Five million teachers and students have participated in their innovative outreach education programs that are tailored to support national and statewide science curriculum and standards. COSI features more than 300 interactive exhibits throughout our discovery-based and themed exhibition areas – Gadgets, Life, Little Kidspace, Ocean, Space, Progress and outdoor Big Science Park – an Extreme Screen Theater, a restaurant, and a retail shop. COSI is Columbus' dynamic hands-on Science center. Make time to visit. The exhibition areas provide experiences for all age levels to creatively combine science facts and learning through play. COSI’s extensive education programs include in-depth field trips as well as a range of outreach activities. Innovative programs such as Electronic Education and COSI On Wheels bring science learning to students throughout Ohio and neighboring states. Camp-In, an overnight experience for Girl Scouts that began 34 years ago, is now duplicated nationwide. COSI provides an exciting and informative atmosphere for all ages to discover more about our environment, our accomplishments, our heritage, and ourselves. 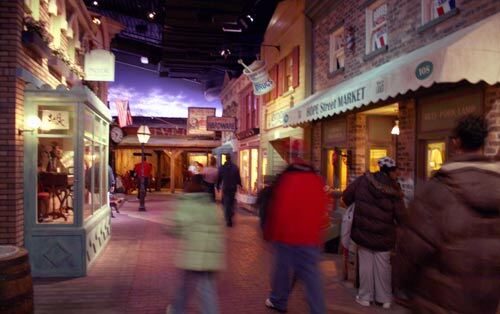 It's exhibits are designed to motivate a desire toward a better understanding of science, industry, health, and history through involvement in exhibits, demonstrations, and a variety of educational activities and experiences. COSI is located on West Broad Street, right next to the Scioto River and if you want to see how much your car weights, go the east side of the building. They have an automated scale set up that will weigh your car for free. 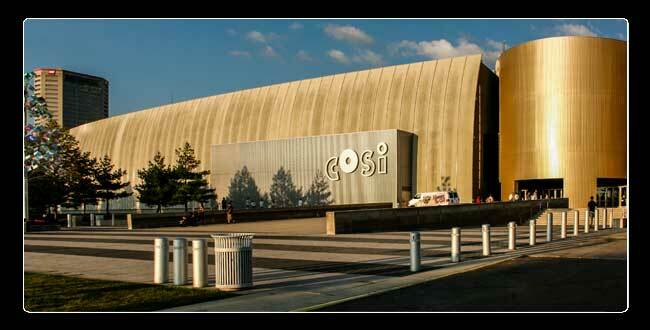 COSI opened on March 29, 1964, as a venture of the Franklin County Historical Society. COSI is a founding member of the Science Museum Exhibit Collaborative (SMEC) and a long-standing member of the Association of Science-Technology Centers (ASTC). COSI was originally housed in Memorial Hall, a Columbus landmark that had served as a major performing arts hall since its dedication in 1906. 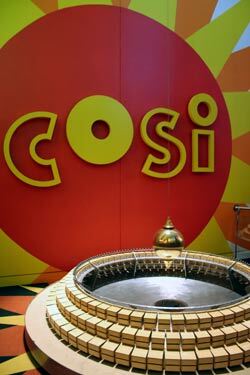 COSI closed its doors at the 280 East Broad Street location and re-opened on November 6, 1999 at a new location on the Scioto riverfront in downtown Columbus. The building was designed by internationally-renowned architect Arata Isozaki using the former Central High School along with new construction on the site of the school's football field.